Quinoa is a great source of protein and fiber. These quinoa burgers are a great alternative to meat. They taste great and are healthy for you. 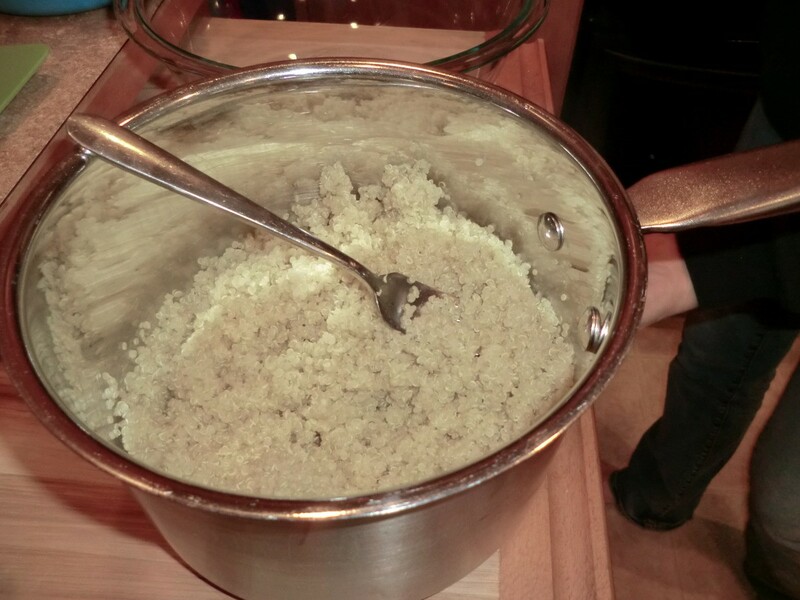 Cooking Quinoa: Bring 2 cups of water and 1/2 tsp. salt to a boil. 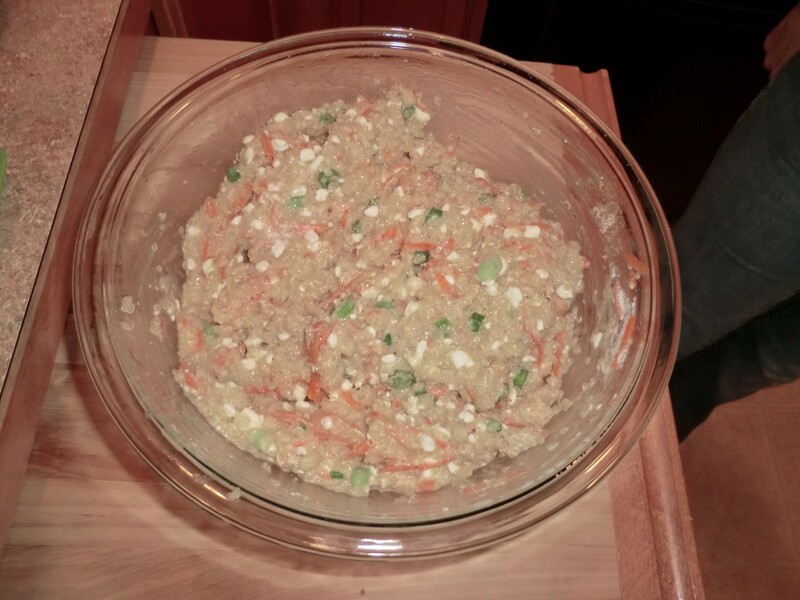 Add 1 cup quinoa and reduce heat to low. 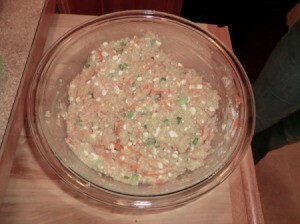 Cover and cook for 18-20 minutes, or until quinoa is tender and water is absorbed. Gently fluff with fork and cool for a few minutes. 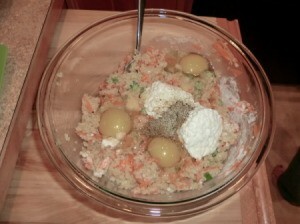 Preparing Burgers: Combine all ingredients in a large bowl. Heat a few tsp. of olive oil in a large skillet over medium-low heat. 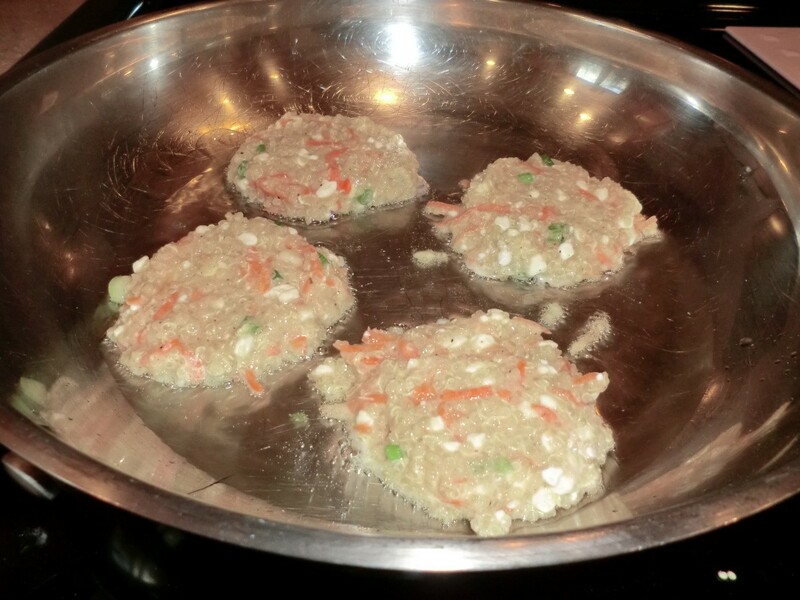 Using a 1/4 cup measuring cup, drop mixture into the pan and use a fork to flatten into "patties" (approx. 1/2 inch thick). 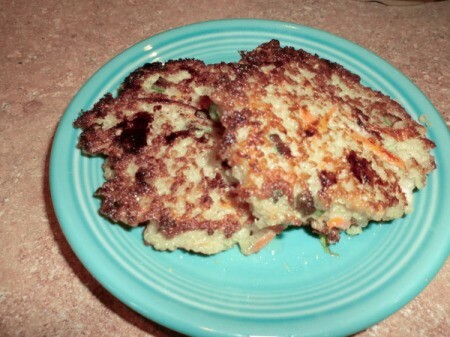 Fry burgers until golden brown, cooking for approx. 4 minutes on each side.